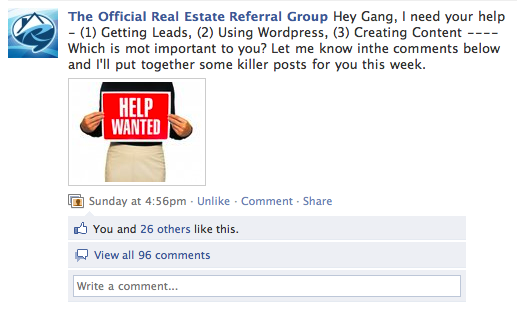 On Sunday I did a quick survey over at the Real Estate Referral Group to find out what kind of content would be most helpful this week. 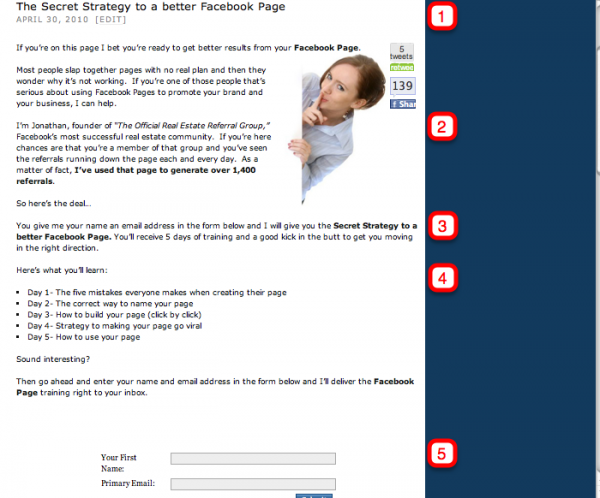 Tip 1: Keep the page name simple so it’s easy to remember and easy to find. Tip 2: Get rid of the sidebars so you have a clean page with no distractions. Tip 3: Turn off the comments and track backs to keep it clean. Its pretty simple really. You tell the story, make an offer, and have a call to action. These pages usually give me higher conversions than my video pages – but maybe that;s just my audience? 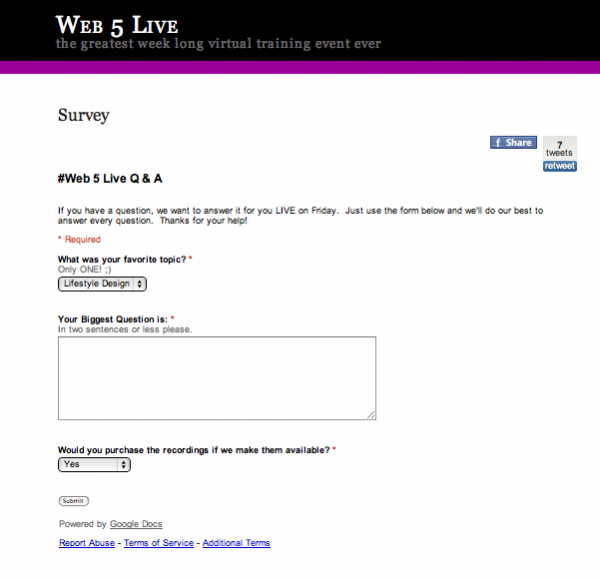 Another great way to capture leads online is to use surveys and questionnaires. People like to be listened to, and what better way to do that than a survey? I use Google forms for my surveys, I created a video to show you how to use Google forms. Here’s a look at one we used for Web 5 Live. 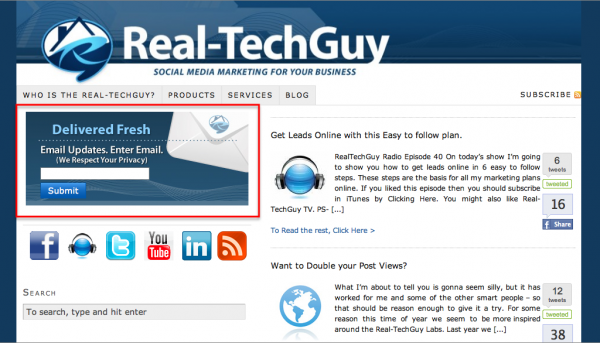 Another way you can capture leads on your site is using a good old fashioned subscribe box. This is a lot easier than you might think. 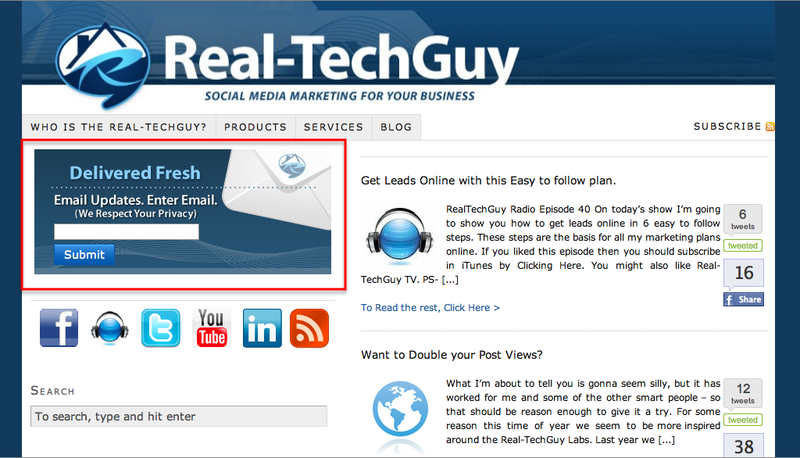 All you’ve got to do is grab the code from your email marketing provider and add a sidebar widget to your site. Next step is to start getting some traffic to your pages to start getting leads. That’s one of Big topics we’re you’re going to learn in the “Internet Marketing Bootcamp.” The next one is start coming up, grab your place now. thanks for sharing this!!! Great content. I’m going to check out the Aweber program! Another great tidbit of info to help us out. Thanks so much! Great post, as usual. I have a quick question, “How do you keep the Page from appearing in your WordPress menubar?” I can’t seem to locate the setting. 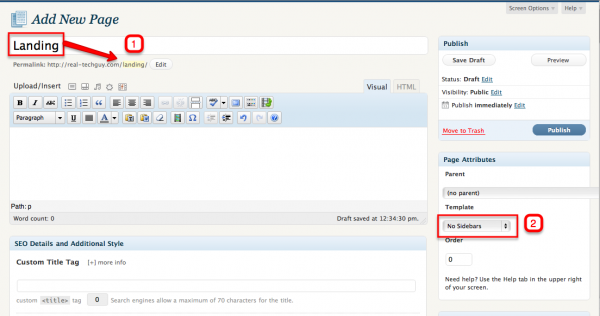 It depends on your theme – but you should be able to setup custom menus in dashboard > Appearance > Menus.